Described as a quiet, gentle and intelligent man, William Wise was running a little late for work on 7 July 2005 after forgetting to pick up his glasses as he left the house. So he returned to his home in west London's Notting Hill, picked them up and kissed his wife, Christine, goodbye. It was to be their final kiss. Mr Wise made his way into the City, the same journey he had made for the past 10 years. At 0920 BST, he called his wife to say he had overheard Transport for London workers saying there had been an explosion and he would see her later. He also called a colleague to let him know he would be late for work and would take a bus instead of the Tube. Mr Wise was killed on the number 30 bus in Tavistock Square when a suicide bomber detonated a bomb at 0947 BST. 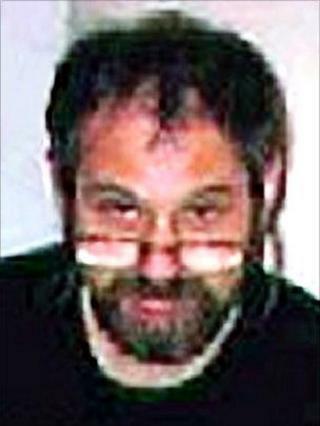 The 54-year-old had grown up in Berkhamsted in Hertfordshire, the son of a GP. His mother died when he was young and he suffered from epilepsy. In 1976, he married Christine, but 11 years later they separated. At the time of his death, they had been back together for two years. Together, they planned to get fit and had joined a gym. In a statement to police made in 2005, Mrs Wise said her husband had undergone a leg operation shortly before his death but otherwise he was healthy, neither smoking nor drinking much. An IT specialist at Equitas Holdings in St Mary Axe, near Liverpool Street, Mr Wise enjoyed a morning ritual of visiting the Leonidas Belgian chocolate shop at the station. There he would meet a small group of acquaintances and sip a double espresso, before completing the last leg of his journey on foot. It was something he had enjoyed doing for seven years. Narisa Monopoli, the former owner of the shop, said: "He was such a gentle, gentle man. He would sit on the high chair in the corner and chat to a group of corporate lawyers who also came in every morning. "He never had a bad word to say about anyone, he was such a lovely guy." Like clockwork, Mr Wise always arrived at the shop at 0830 and stayed for half an hour, she said, but on the day of his death he was running late. He once joked with her that he had probably caused a bomb scare in the past by leaving his bag on the train after having an epileptic seizure. Mr Wise, who enjoyed following football, is survived by a brother who is a banker, another who is a neurology lecturer, and a sister in Canada.